Here in Scranton, Fall quickly turns to Winter, and while we have been spoiled with nice weather lately, that’s bound not to last. As the weather gets colder I don’t smoke as often, but when I do one my favorite go-to Winter cigars is the Alec Bradley Black Market. This is darker than most cigars I’ve reviewed, but not so dark it should deter you from trying it out. It’s a great medium-full bodied cigar that will start off super smooth and creamy before getting into a more spicy/peppery flavor. It finishes off a little sweet. 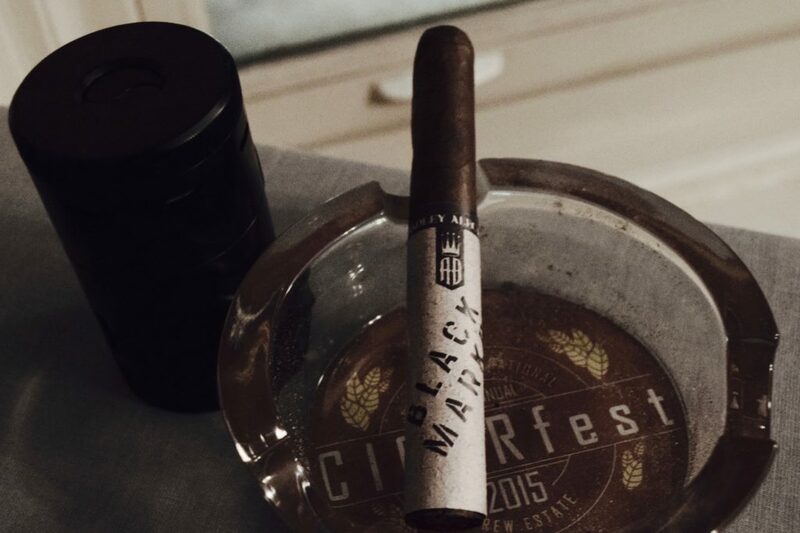 The great part about the Black Market is that it acts like a sampler of a lot of different types of cigar flavors; moving from creamy to peppery to sweet means you never get bored of the smoke and it keeps you guessing with each draw. I’m really glad Famous-Smoke Shop decided to send this one my way. …blended with Honduran Jamastran (pronounced ha-mas-tran) and Panamanian longfillers, Sumatra binder, and semi-sweet Nicaraguan Jalapa wrapper cured to a dark, shimmering patina. All of this and more makes this cigar an excellent, unique, and at under $10/stick, affordable smoke. My recommendation for this Winter? As your lamenting the cold weather, pour yourself a nice coffee and light up the Alec Bradley Black Market. If the coffee doesn’t keep you warm, the cigar certainly will. This is a sponsored post. Don’t fret though! It does not change the way I feel about Famous Smoke Shop or Alec Bradley.